It’s easy for agencies to say it "doesn’t happen here" because most make it so hard for women to say "it happened to me." This specially-created 3% In A Box module aims to make it harder to ignore sexual harassment and easier to speak about it. We break down this loaded topic into manageable segments that humanize victims through real stories, empower bystanders with actionable suggestions, and give an honest look at our industry’s shortcomings. 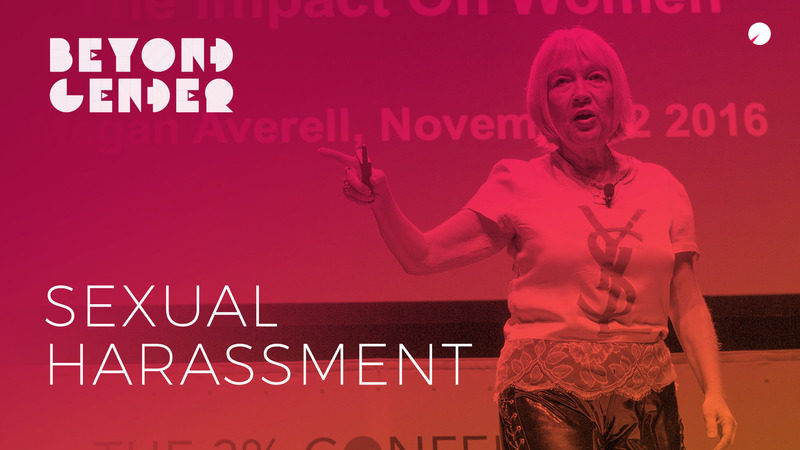 Watch the segments of the most insightful sessions that addressed sexual harassment in our industry from the 6th Annual 3% Conference in 2017. 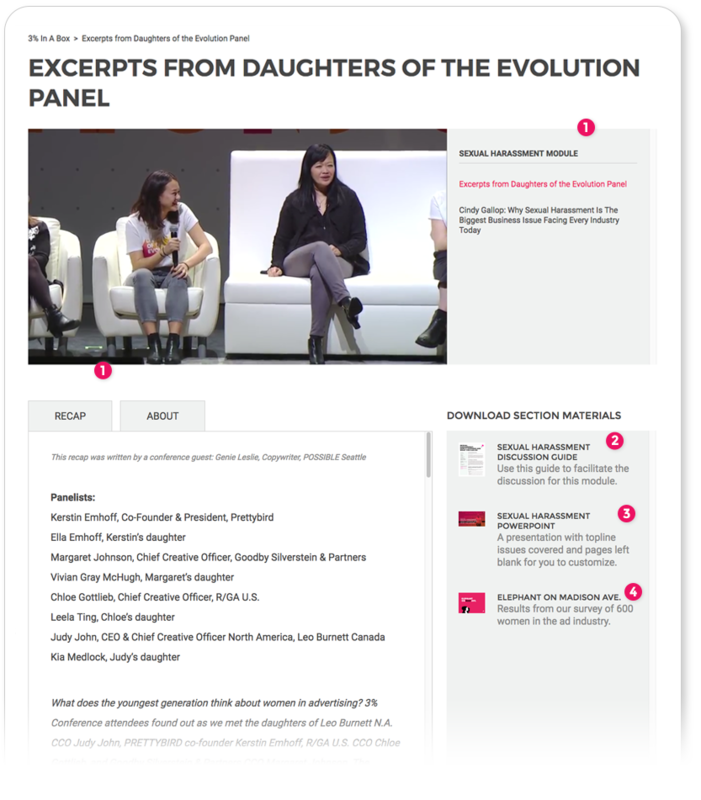 This includes the Daughters of the Evolution panel discussion where powerful industry women spoke about their #MeToo moments with their daughters and Cindy Gallop's closing keynote where she calls sexual harassment one of the most pressing diversity issues plaguing our industry today. Open discussion about Sexual Harassment can feel like a landmine. Our CEO knows this, which is why Kat Gordon herself wrote this discussion guide after sitting in discussion at dozens of agencies about this charged topic. Included are group activities, key takeaways, and specific, actionable steps to take within an agency culture. This module includes a customizable presentation template that the facilitator can use to make the sexual harassment discussion as relevant to your agency as possible. We've included links to outside resources we found exceptionally helpful: Marianne Cooper's TEDx Talk, "The Power of Us: How We Stop Sexual Harassment" and the Dear Sugar podcast episode, "Consent, Part 3: Working in the Gray."